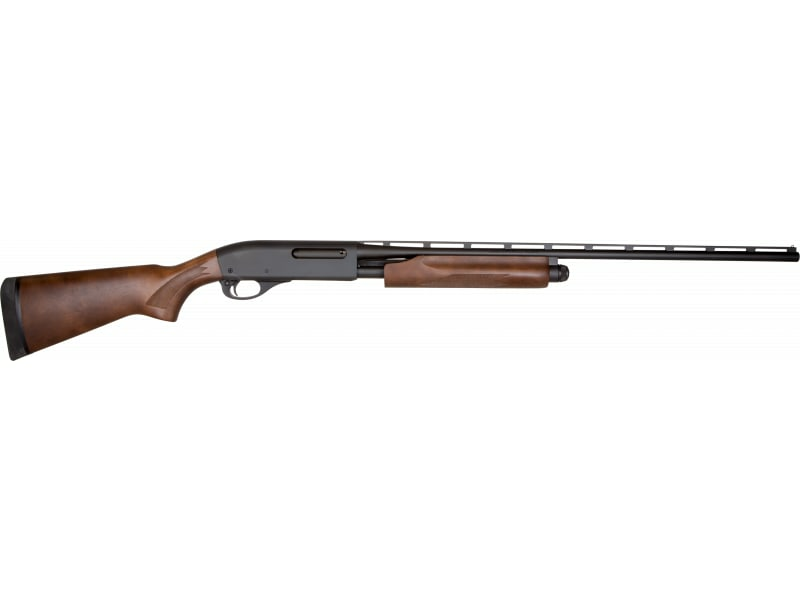 Remington 25078: This small gauge 870 Express pump action features a receiver milled from a solid billet of steel and Remington's non-binding twin action bars for smooth, easy operation. It has a black oxide metal finish with a 25" vent rib barrel and single bead sight. This exclusive model has a youth-sized, dark brown birch hardwood stock and forend with a fixed, full choke barrel.